Data centers consume a lot of energy. What if there were ways to more efficiently cool your data center? You could save money and help save the environment. A article from Computerworld estimates that annual data center energy consumption is expected to reach 139 billion kilowatt-hours by 2020. Read that article here. A typical data center pumps cold air from a Computer Room Air Conditioner (CRAC) under a raised floor. This cold air is released in the front of equipment racks and thus cools the active equipment. While new methods are being adopted, this method relies on clear pathways under the data center floor. If pathways are congested, airflow is restricted. One of the biggest culprits for poor airflow is the congestion due to improper cable management. When structured cabling standards are not followed, layer one infrastructures will clutter pathways, requiring CRAC units to work harder to maintain operating temperatures. 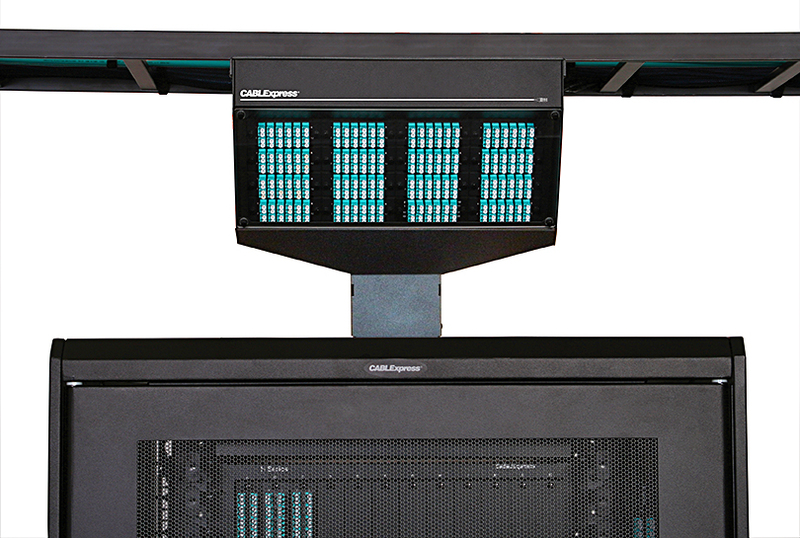 CABLExpress can help implement a structured cabling solution that will significantly reduce cabling congestion and ensure standards are being followed. This efficiency allows you to improve your cooling and power concerns and save critical budget money. Plus, you’ll diminish your negative impact on the environment. We provide innovative, space-saving products that will help you free up critical airflow paths and optimize your cooling. Feature a 2mm diameter to minimize congestion in cabinets. Have a diameter of just 0.148 inches, allowin for greater flexibility in design. Attach to the outside of racks, thereby using no horizontal rack space. Mount directly to overhead conveyance to free up space.